Dexter Barn sleeps four people. 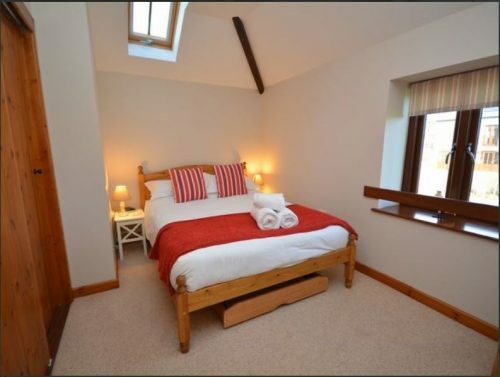 The master double bedroom has its own steps leading down into the garden. 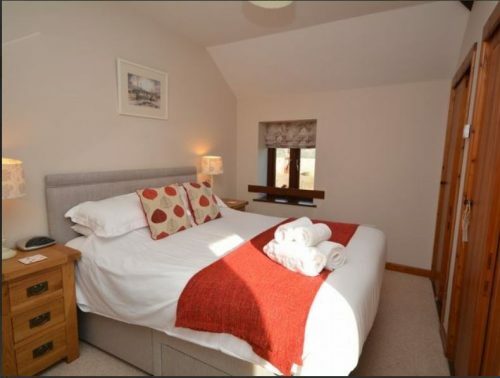 The second bedroom has a double bed and a fold out single bed, so can be either a double room or a twin room. There is a separate bathroom downstairs. 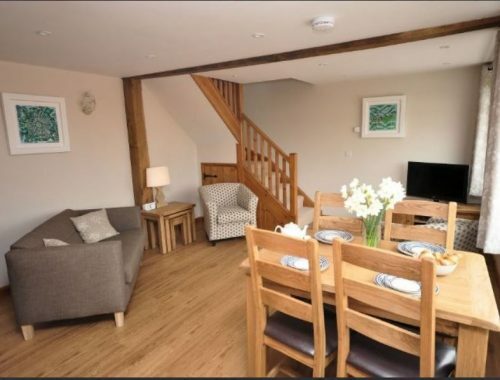 The living area is open plan. Outside there is a private patio area with furniture and a barbeque. 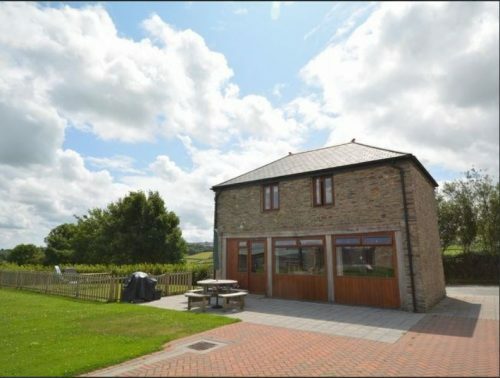 The barn is set on a 140 acre working farm with glorious views of the surrounding countryside. 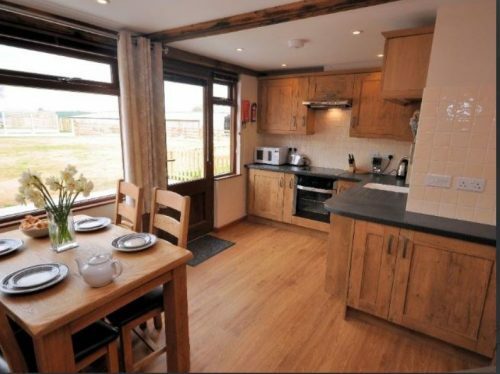 There are four self catering holiday properties on the farm. One dog is welcome for a small extra charge. The barn has internet access. To book Dexter Barn, click HERE.